Student: Teacher, how do I know which are the correct word combinations? I always use prepositions at random or according to what I think sounds better. Teacher: It’s a matter of practice. You have to read more and you will remember little by little. Do you feel identified? Learners often use the language without knowing the rules or the right collocations (group of two or more words that usually go together). 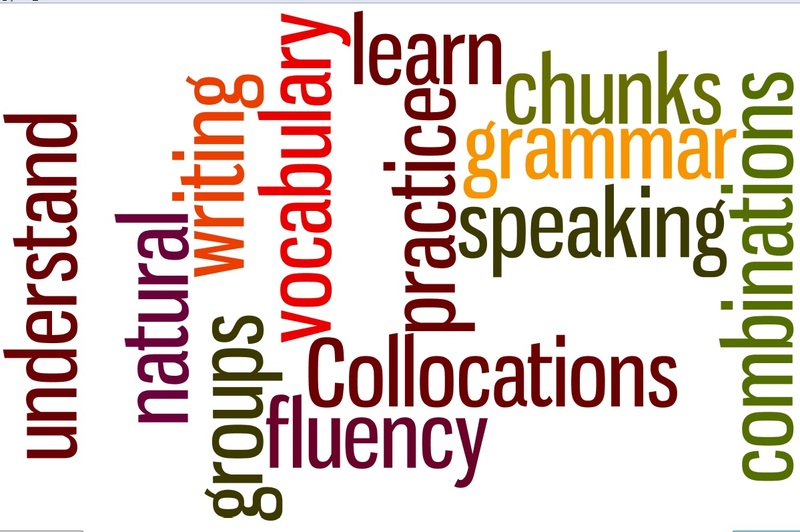 More than grammar, using them pertinently is key to express yourself more naturally. Why should we learn collocations? If you do so, your language will be richer. In other words, you will avoid constant repetition of words, your ideas will flow easily and you will get the listeners more interested in your ideas. Moreover, you will be easily understood. In addition, learning the language in chunks or blocks of language is easier, faster and more entertaining. Oxford Online Collocation Dictionary is an advantageous resource you can use when unsure about some expressions and especially when writing. The search results show an explanation of the term and the collocations of the word with nouns, verbs, adjectives, adverbs, and prepositions as well as common phrases. The layout is not the most eye-catching but it is simple and straightforward. Categorías: Resources, speaking, vocabulary, writing | Tags: advanced, collocations, dictionaries, fluency, intermedia, oxford dictionary, resources, speaking, vocabulary, writing | Enlace permanente. Film English The site promotes the innovative and creative use of film in English language teaching and learning.